How do meteorologists design forecasts for the next day's, the next week's, or the next month's weather? Are some forecasts more likely to be accurate than others, and why? 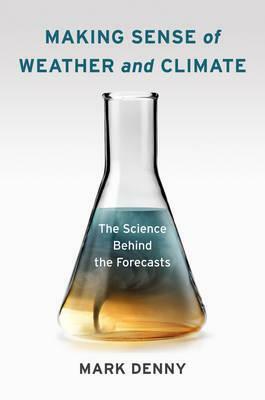 Making Sense of Weather and Climate takes readers through key topics in atmospheric physics and presents a cogent view of how weather relates to climate, particularly climate-change science. It is the perfect book for amateur meteorologists and weather enthusiasts, and for anyone whose livelihood depends on navigating the weather's twists and turns. Making Sense of Weather and Climate begins by explaining the essential mechanics and characteristics of this fascinating science. The noted physics author Mark Denny also defines the crucial differences between weather and climate, and then develops from this basic knowledge a sophisticated yet clear portrait of their relation. Throughout, Denny elaborates on the role of weather forecasting in guiding politics and other aspects of human civilization. He also follows forecasting's effect on the economy. Denny's exploration of the science and history of a phenomenon we have long tried to master makes this book a unique companion for anyone who wants a complete picture of the environment's individual, societal, and planetary impact.